Tudor Coman - Not a lot of thought. As a startup founder, you probably never think about how to actually and truly lead your team to victory (or at least the next pivot). You probably have a small team, maybe consisting of other cofounders and right now, you are strictly concentrating on execution. Your scope right now is small enough that everyone on your team "gets it". However, if you want to get that extra mile out of your employees, partners and even cofounders, it is wise to make a small attempt at creating an overall leadership foundation that your team can believe in. I get it, everyone is in execution mode and everyone subscribes to the overall product. Does everyone understand the larger vision? It's probably too early to tell what your vision is, or if you do have one, perhaps not everyone agrees with that vision. Therefore, we need something larger, a motivating tool that supersedes "vision" and gets into something broader. I don't think I have one word to encompass it, but everyone, regardless if they agree on the vision or not, must agree to WHY they are doing what they are doing. Why are you building what you're building? This is a super high level question and the answer, as much as you like it or not, has to be warm and fuzzy. You're not doing this to get rich, you're not doing this for the glory, you must do it for a larger purpose. People are naturally altruistic, it's a genetic trait (well, for the majority, and hopefully you're hiring ethical people) and everyone needs purpose in their life. Purpose makes even the worst type of work workable. Installing toilets in sub-saharan Africa is not a pleasant job. But if you're doing it because it literally saves lives of hundreds of people, that's a pretty big driver. We need to instill that purpose into your startup. Empathize with your your team; they have decided to drop their current life paths and embark on a startup journey so marked with social and financial parrel that they must be able to go home and answer the question of "why am i doing this? If it's the money, why am i making less money than a corporate job? Why am i working 12 hours a day for no results? why am i dedicating 3 years of my life to this company which could utterly fail?" If you can give meaning and answer the WHY, all of those questions that can demolish your ambition will seem less daunting. Plus, it establishes meaning in your employees, cofounders and yourself. How can you develop an answer to Why? 1. it's gonna be warm and fuzzy, so get over it. B2B SaaS - We believe that people have better things, more creative things to do than run their boring operations. We want to give them time back, we want them to go home and not worry about operations. How many times have you heard that "our customer's growth is our priority"? B2C Commerce - Commerce is no longer tied to one geographical location. Commerce is now world wide, accessible to billions of people, and the producers have now created millions of jobs. B2C Travel - Travel enriches people's lives. It's the best way to enrich one's self, through memories and experiences - that's why we work hard to give people the best travel experience. Anyways, those off the top of my head. 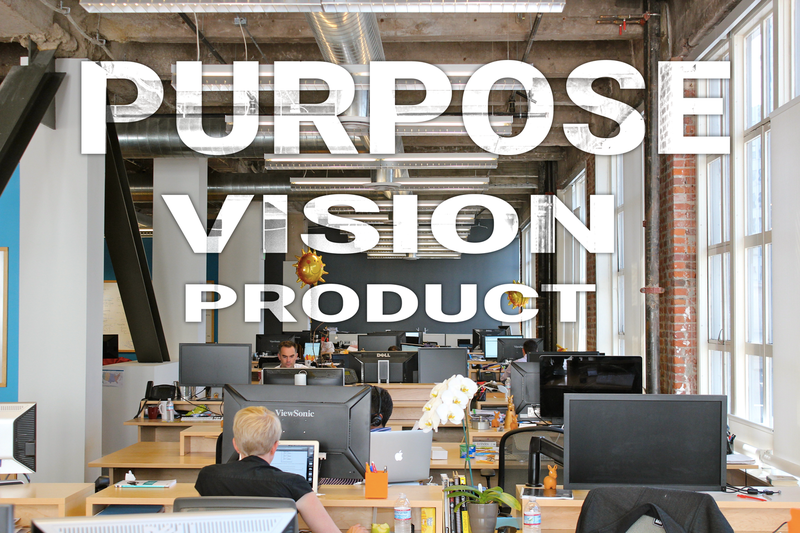 Sit down, have a think and ask yourself, what larger purpose are you or your company serving?